Ember has always known she doesn’t belong in this world. But when she tries to correct the mistake, she wakes to find herself in a mental institution. She’s soon drawn to Taren, the mysterious boy with hazel eyes. He’s not what he seems, but what is he? When chaos erupts, they are forced to flee the institution together, and the secret that Taren has been keeping brings Ember closer to understanding her own. And leads her to… the Gateway. Two months have passed since Ember Lyons nearly died killing the powerful Root Demon threatening the Los Angeles Gateway. Physically healed, images of the day still haunt her and she can no longer access the power she once wielded. She can't talk about it with anyone at The Institute--not even her handsome, demon-hunting boyfriend, Taren. Besides there are bigger things to worry about: Gateways around the world are weakening, Keepers' Marks are fading, escaped lesser demons are populating Los Angeles, and it looks like the Root Demon wasn't alone. 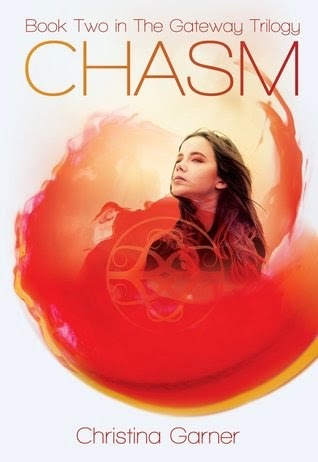 When the Institute sends Ember and a team to Europe, she hopes to find answers and security on the journey, but another attempt on her life reminds her she's never really safe. Then she's thrust together with the mysterious Alexander. Ember can't be sure if this charismatic man is her most formidable enemy or greatest ally. Either way, she needs him, because he's the only one who can bring her to... the Chasm. Ember was only trying to keep a promise when she jumped into the demon world. But instead of saving Cole and his people, she found herself just as trapped as they are. She lives and learns with the Daemon survivors while the demon threat grows every day. Meanwhile Taren struggles with his guilt for not stopping Ember. He’s desperate to know she’s alive, but there's been no sign of her except in his own vivid dreams. As they struggle to reconnect, the Gateways around the world weaken, and the demons begin to amass for war. The end is near and Ember must face her fears if she has any hope of saving the world – or herself. 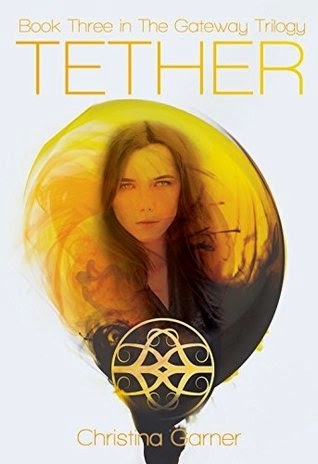 With everything falling apart, her only hope is to find...her Tether. The metallic taste of blood filled my mouth. I’d bitten down hard on my lip to keep from screaming at the pain in my ankle. I swallowed, not daring to spit it out; Dahraks had an incredible sense of smell and a shark-like ability to find blood. I had been in this wasteland before—in spirit—but it became immediately clear that being here live, in the flesh, was an altogether different experience. I had expected the biting wind, the smell of rot, the heat of a desert, but this was amplified beyond reason. The smell was overpowering—like a festering wound when the bandage is removed; like death itself had died and left nothing but its stink. The heat seared my skin. The wind felt like a furnace and threatened to blow me away. I writhed upon the cracked earth—my right ankle throbbing—and, for a split-second, I wished it would. A high-pitched howl pierced the wind, and for a moment the pain disappeared as I looked around wildly, trying to find the source of the noise. I saw nothing but wasteland. I was alone, in the open, unprotected and broken. 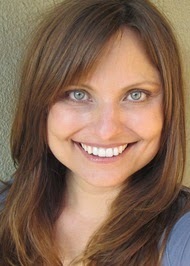 Christina Garner began writing stories at the age of six. Her first–about a young girl who busted up a nefarious ring of furniture thieves–was a huge hit with her mother. At eighteen, her aspirations as an actor had her loading up her Buick and setting off for Hollywood. Since then, she has written and directed 10 short films, including Rewind and Reminder, both of which received acclaim on the festival circuit. In 2006, she began writing screenplays. A year later, she even got paid for one. 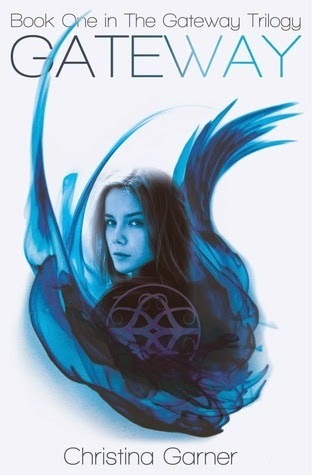 In May of 2011, her debut novel, Gateway, became an Amazon Bestseller. Chasm, Book 2 in The Gateway Trilogy, did the same. When she’s not writing novels, Christina spends her time working in the movie business, traveling, watching Buffy the Vampire Slayer reruns, and playing with her dog, Griffin. How did I not know about this series?! It sounds awesome. Thanks for sharing!